Reports have emerged that data analytics firm Cambridge Analytica harvested roughly 50 million Facebook profiles of U.S. voters in violation of the platform’s terms and conditions. Cambridge Analytica is now being called the data-analysis firm that helped U.S. President Donald Trump win the 2016 election. Cambridge Analytica is owned by hedge fund billionaire Robert Mercer and was headed by Trump’s key adviser Steve Bannon at the time the data was obtained. The social-media company said that Cambridge got the data from a professor who originally told Facebook he wanted it for academic purposes. The data was collected through an app called thisisyourdigitallife, built by academic Aleksandr Kogan who worked at Cambridge University. Users were asked to sign over access to their friend lists and likes before using the app. The 270,000 users of that app and their friend networks reportedly opened up private data on 50 million people. Everything that the professor did was allowed under Facebook’s rules, until the information was handed off to a third party. Facebook’s “platform policy” barred the data from being sold on or used for advertising. Facebook said it found out about Cambridge Analytica’s access in 2015 and demanded that it delete the data. Cambridge kept the data, an infraction that got the company suspended from the social network earlier this week. The firm allegedly used the information to build a powerful software program that could predict and influence choices at the ballot box. Cambridge denied doing anything illegal or using the information in the 2016 presidential election. Facebook says it has no way of knowing how or whether the data was used in the Trump campaign. The new questions about Facebook’s role in targeting voters in the US presidential election comes only weeks after indictments of 13 Russians accused of using the platform to perpetrate “information warfare” against the U.S. The Russian actors were allegedly purchasing U.S. election ads on the site to sway voter opinions. 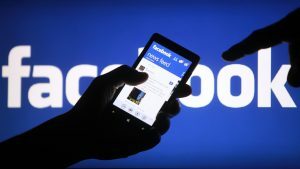 The company is also under fire for the use of its automated advertising system for racist targeting and the rapid proliferation of fake user accounts. Cambridge Analytica is also being investigated overseas. The data analytics firm also worked on the winning Brexit campaign. The Electoral Commission is now investigating what role Cambridge Analytica played in the E.U. referendum.